The Colorado Developmental Disabilities Council (CDDC) members are citizens of the State of Colorado. Council membership reflects the geographical diversity of Colorado. Council members are people with disabilities, family members of people with disabilities, and representatives of state agencies, nongovernmental agencies and private nonprofit groups concerned with services for people with disabilities. Citizens of Colorado interested in applying to be members of the Colorado Developmental Disabilities Council apply for membership through the office of Boards and Commissions, and are appointed by the Governor. Terms begin on July 1st each year. Complete the online application or call the CDDC office for an application at (720) 941-0176. My name is Alicia Eakins and I am the mother of Ezra (7) who is differently abled, and Imogen (2). I have a background in international community development and have lived in, and traveled throughout, Africa. Our work and life trajectory shifted drastically when Ezra was born, and I have been actively educating and advocating on behalf of the I/DD community since then. I currently serve on the Jefferson County School and District Accountability Committees and am the Executive Director and co-founder of Nexus Partners for Accessibility, an international development nonprofit working with local organizations to build inclusive communities for people with disabilities. I am honored to serve on the Colorado DevelopmentalDisabilities Council and to be part of the I/DD community. Retired in 2013 from the federal government where he worked as a grants administrator and program director. He is married with two adult daughters, one of who has autism. He has extensive professional and personal experience in national service and volunteerism. He also worked as a legal advocate for persons with developmental disabilities and served on a wide range of boards, commissions, and advisory bodies at the local national, and international levels. After retirement, he served as an AmeriCorps VISTA member creating a financial literacy program for seniors in Boulder and served as an in-country management consultant to Patrimonio Austral & The Patagonia Sur Foundation (both in Patagonia, Chile). He has a J.D. from the University of New Mexico (1983), a B.A. in Fine Arts, Sculpture, University of New Mexico (1979), and served in the United States Air Force from 1971-1976. He also owned and operated a whitewater rafting company for ten years and was adjunct faculty at the University of New Mexico and San Juan College in Farmington, NM teaching whitewater boating. Deon Gillespie joins the Council with a diverse background in TV news, media relations and community outreach. She is also an accomplished feature writer with particular interest in holistic health, the arts and current events. Deon grew up in a family of civil rights activists, advocating for inclusion and equality on all levels. She is a former member of the NAACP National Youth Work Committee and currently serves on several boards, including the Parent to Parent of Colorado AdvisoryBoard. In addition to journalism, Deon was active in the University of Utah and Salt Lake City theatre communities. Surrounded by the SundanceFilm Institute and annual festival, she developed a passion for independent film. Whenever she can, she attends and supports film festivals around the country, including the Denver International Film Festival. Deon currently works in the Office of Communications and Marketing at the University of Denver Daniels College of Business. She has one 12-year-old daughter, Calise, who attends the Girls Athletic Leadership School (GALS). Deborah Williams is the mother of a 4-year-old son who is "nonconforming." A proud, dyed-in-the-wool Denver native, Williams and her husband, Bradd, are committed to raising their son as a true Colorado "outdoorist," making sure he spends as much time outside, in the mountains and on a bike as possible. Williams attended public schools in Denver's south suburbs and then earned her Bachelor of Journalism from the University of Missouri-Columbia. She returned to Colorado immediately after graduating and has worked as a magazine editor for 15 years at the National Ski Patrol, Professional Ski Instructors of America, SKI Magazine, Skiing Magazine, Inspirato and helped launch Optimum Wellness Magazine. She is now the managing content editor at the Outdoor Industry Association. After receiving a diagnosis of autism for their son, the Williams enrolled him at Sewall Child Development Center and immediately jumped at the opportunity to take part in a grant program called Partners in Leadership, a parent advocacy course made possible by the DDC. She looks forward to bringing everything she's learned as a participant in that program and as a parent to her time on the council. Hal Wright is a parent of an adult daughter with a developmental disability who lives semi-independently. He is a retired Certified Financial Planner who focused on special needs planning, i.e. - helping individuals, parents and families create plans for a better life for a person with a disability. He serves on the Board of Directors and Finance Committee of the Colorado Fund for People with Disabilities, a charitable, pooled-asset trust. He is a registered pro bono lobbyist with the Colorado General Assembly focusing on social justice and human needs. Born and raised in inner-city Chicago, educated in Chicago Public Schools, Senator Aguilar was the first in her family to receive a bachelor's degree. She attended Washington University in St. Louis on scholarship and received her medical degree from the University of Chicago-Pritzker School of Medicine. In 1985 she moved to Denver for her residency training in Internal Medicine at the University of Colorado Health Sciences Center. Dr. Aguilar worked for 23 years as a Primary Care Provider for Denver Health and Hospitals and now serves on their board of directors. Senator Aguilar has been married for twenty-five years to Dr. Thomas Bost. They have three children, one of whom has developmental disabilities. This led to her participation in public service, being appointed to The Colorado Developmental Disabilities Council. In November 2010 Dr. Aguilar made a decision to seek public office to advance the cause of universal health care. 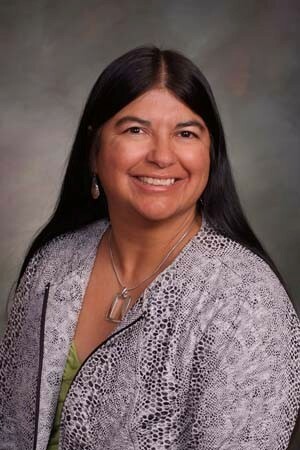 Senator Aguilar represents Denver's Senate District 32 in the Colorado General Assembly. She hopes to use this office to ensure access to quality affordable health care for all Coloradans, reinforce the safety net for people with disabilities and revive the American dream for Latinos in Colorado. Senator Aguilar sponsored legislation to expand Medicaid in Colorado and to align our health laws with the Affordable Care Act. She has worked to ensure those without health insurance receive fair pricing for hospital care. Senator Aguilar has also passed laws to improve the lives of people with disabilities by providing funding for respite, support for applying for disability, and a voice at the table. Serves as a representative of the state protection and advocacy system. J. Patrick Hackney has nearly twenty years' experience in disability advocacy. He currently serves as the Community Integration Team Leader at Disability Law Colorado and advocates for clients seeking services in their respective communities. Patrick received a Bachelor of Arts from Samford University in 1994 and a Juris Doctor from the University of Alabama School of Law in 1998. Outside of work, Patrick enjoys reading, being outdoors and playing golf. Jennie Munthali, MPH is a council member and represents the Department of Public Health and Environment where she works as the section manager for Children and Youth with Special Health Care Needs (CYSHCN). Jennie is also the mom of two boys one with special needs and brings both her professional and personal experiences to influence policy change. She is passionate about ensuring a medical home for children and youth and works with other state agencies to coordinate efforts and identify and implement policy changes. Jennie worked in Southern Africa for seven years and has gained valuable experience from engaging communities, particularly non-English speaking families and ensuring access to care for women and children. She holds a Master's Degree in Public Health specializing in Health Services Management, from the London School of Hygiene and Tropical Medicine. Jennifer Martinez is currently the Division Director at The Department of Health Care Policy and Financing (the Department), leading the division of entry point, assessment, quality performance and case management. Jennifer brings more than 20 years of experience in case management, including 13 years managing programs and staff and a broad range of experience working to support individuals who are aging and/or have disabilities. Jennifer managed the Department's Home and Community Based Services Benefits Section for two and a half years, served as the interim Long-Term Services and Supports Division Director for one year, and the Division Director for the Division of Intellectual and Developmental Disabilities for the past 11 months. Jessica Howard is a Denver native and the parent of a son with autism. She is passionate about improving community awareness of people with disabilities, with special interest on law enforcement interactions with the disability community. Jessica is currently the Legal Assistant for the ACLU of Colorado, where she provides support to protect civil liberties in Coloradoans through litigation and education. Jessica currently serves as a member of the Disability Law Colorado's Protection and Advocacy System for Individuals with Mental Illness (PAIMI), and is a former council member of the Denver Public School's Special Education Advisory Council (SEAC). Professional/Self-Advocate- Serve as a person with a developmental disabilities. Joe Morrone worked 17 years in the field of Developmental Disabilities, he has worked on both the residential side as well as the vocational side. 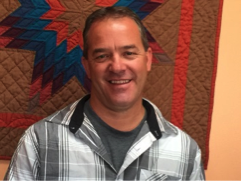 Joe started at Martin Luther Homes in Fort Collins after graduating from Colorado State University with a Bachelor of Arts in Sociology. He worked in apartment settings and later became a host home provider. Joe was also involved in training new staff and developed a new training on communication. In 1999 Joe went to work for Employment Link (now Community Link) in Boulder. He worked in a variety of capacities to provide vocational services to people with disabilities. In addition to his work in the field, Joe also has a disability and that makes him uniquely qualified to serve on the Developmental Disabilities Council. He has seen firsthand the challenges that people with disabilities face every day, and he has spent his professional career working to making inclusion second nature for everyone. Joe is married to Elizabeth and loves sports, especially his Denver Broncos. He is very excited about serving and bringing all his experiences to the council. Julie is the proud mom of four adult children; three are affected by Fragile X syndrome and the youngest also has Down syndrome. She welcomed the littlest love of her life, her precious granddaughter, in 2016. Julie works as a training consultant for local Colorado companies and international corporate clients, coaching public speakers in all things related to communicating a message effectively. She has a lifelong passion for health and wellness, especially with regard to food, and holds a degree in Food Science and Human Nutrition from Colorado State. Her free time is spent in her garden, on her road bike, and enjoying our great state. Julie lives in Fort Collins with her husband and partner in all things, Rick. Serve as representative of the state agency that administers funds provided under the federal "individuals with Disabilities Education Act"Katie Oliver is the Interagency Transition Liaison for the Colorado Department of Education (CDE) and has been since 2008. Katie's responsibilities include overseeing the School to Work Alliance Program (SWAP) in partnership with the Division of Vocational Rehabilitation (DVR), providing technical assistance and training to school districts around transition services for young adults with disabilities in school and coordinating with other adult service agencies. Katie is a member of several councils supporting people with disabilities. She has worked previously in the workforce centers and among adult agencies serving people with disabilities. Katie has a Master's Degree in Organizational Leadership and Business Management. Kristen is a social worker, career counselor, parent and advocate. She currently works as the youth program manager for the Broomfield Workforce Center where she assists young people in finding their passion and purpose, while they learn life-long employment skills. Kristen believes that anyone who wants to work, can work in their community and is always operating from a strength-based, inclusive ideology. Her eldest son was diagnosed with Autism at age 4 and in 1996 she started Ann Arbor's first support/social group for parents of children with autism. Kristen was one of the Autism Society of Boulder County's primary volunteers. She created and facilitated their Women's Social group, Parent Support group and was the Chair of the ASBC's Employment Committee, which oversaw their Job Club. She now sits on the Board of the Autism Society of Colorado andColorado APSE. Kristen lives in Broomfield with her family and dogs. She is a licensed foster parent with the State of Colorado and has given foster care training at her local CCBs. In her spare time she volunteers at a local equine therapy horse ranch and thanks to her wonderful teenagers, knows too much about Legos and video games. Lisa Franklin is the Lead Coordinator at Parent to Parent of Colorado, a program of Ability Connection Colorado. She is a mom and grandparent of individuals with special needs and a long time special education teacher and administrator. Lisa is passionate about supporting families, providing high quality early learning opportunities that include all children, and increasing employment and education opportunities for individuals with disabilities. As a representative of non-profit organizations on The Council, Lisa believes that collaboration between families, public agencies and community organizations can lead to great outcomes for all individuals. Serves as a person with developmental disabilities. Lisa Potter lives in Idaho Springs, the small mountain town where she was born 38 years ago. After high school, Lisa attended vocational school, where she focused on learning to work in an office, her dream job. For the past 16 years she has worked in 2 different offices, Life Quotes in Evergreen and the corporate offices of Arc Thrift Stores, where she has been for 12 years. Livin' the dream! Lisa also established a craft business, making and selling hand-made hats, scarves, and cards. Nearly 11 years ago, Lisa moved into a house with her best friend. The move was really "shooting for the stars" as no one was sure the arrangement could work. Eleven years later, everyone is beginning to think that it just might work! Lisa loves life and participates fully. For 32 years, she's been an avid skier. She loves bowling, camping, concerts, dances, movies, friends, food of any kind - the spicier the better, knitting, music, swimming, craft fairs. She has such a positive outlook, that she even looks forward to her annual dentist appointments and flu shots! Lisa has always possessed a unique drive to make things happen. When she sets her mind on a goal, there is no holding her back. 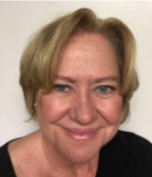 Patricia Henke has worked in the field of vocational rehabilitation for over 20 years and has held positions as Job Coach, Vocational Evaluator, Work Adjustment Instructor, Supervisor, Director of Community and Employment Services at various nonprofits such as Goodwill Industries and Laradon Hall. Patricia currently holds the position of Statewide Employment Coordinator for Colorado DVR where she develops programs at state and local levels to create opportunities for Supported Employment services. 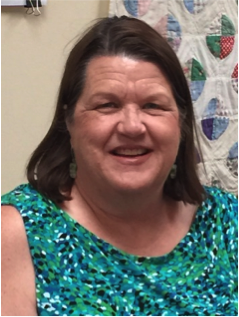 Patricia also teaches an Internship/Practicum course in Rehabilitation Counselor Education Master's Program at Utah State University. Patricia completed her undergraduate degree in Business Administration from University of Louisiana at Lafayette (formerly USL) and decided to enter the Master's Program in Rehabilitation Counseling Education when her family experienced a car accident where her mother was significantly injured and unable to work for a period of time. Paulette Steinhoff, Self-advocate came to the Council through Dawn Russell's recommendations. Paulette lived at one time in a rehabilitation center, but with the work of Atlantis, was able to transfer back to her community of Littleton. Paulette served for a time as a transition counselor for people getting out of nursing homes. She is active on many fronts including the arts community. Peggy Spaulding has worked as a Program Specialist for the Colorado State Unit on Aging for 10 years. Peggy specializes in caregiving, contracts, and the implementation and oversight of grants. Peggy works with individuals of all ages through the Area Agencies on Aging (AAA), the Aging and Disability Resources for Colorado (ADRC), the Lifespan Respite Services and the Dementia Capable, Sustainable Service Systems. Previously, Peggy was the Executive Director at the Brain Injury Association of Colorado. Peggy has more than 20 years working with policy implementation and consumers with long-term service and support needs. Peggy has a Bachelor of Science degree in Psychology and a Gerontology Certification. Rob Buzogany is participating on the Council as a parent of two children, one of whom has a disability. Rob's senior year of high school, his mother was involved in an accident that left her paralyzed. In addition to knowing the parent's perspective intimately, Rob also brings the perspective of years of working with people with disabilities. 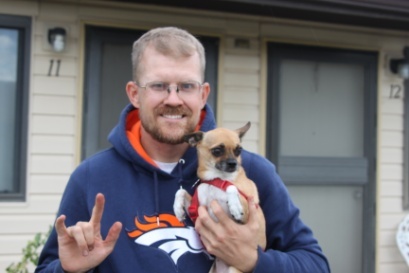 Rob worked for the Mental health Center of Denver as a vocational rehabilitation counselor, Goodwill as a counselor in an at-risk youth program in the Adams County schools, and Easter Seals providing counseling to Veterans. 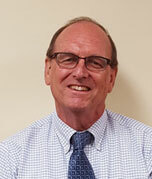 Currently, Rob is working at the Colorado Department of Vocational Rehabilitation, for whom he has worked for over 15 years in several roles such as: Rehabilitation Counselor; Employment and Marketing Specialist; Supervisor of local offices; Supervisor of a region; and Manager of statewide programs. Rob has a particular passion for employment and assisting people to live independently in the community. Rob has assisted the state in being awarded several grants that focused on providing funding to the state to provide employment-related services. 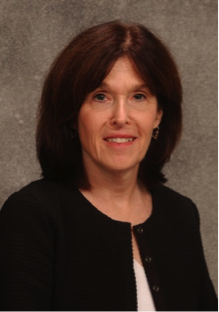 Sandra Friedman received her medical degree from Northwestern University, MPH from Harvard, completed her pediatric residency at Stanford, and a fellowship in developmental disabilities at Boston Children's Hospital. She is board certified in Neurodevelopmental Disabilities and Developmental-Behavioral Pediatrics. She remained at Boston Children's and Harvard Medical School until 2009, and then assumed the role of Section Head of Neurodevelopmental-Behavioral Pediatrics, Medical Director of the Child Development Unit at Children's Hospital Colorado and University of Colorado School of Medicine, and Associate Director of JFK Partners. She became Director of JFK Partners on July 1, 2015. I'm Willie Wade who lives in Alamosa, Colorado. I live on my own with my dog, Princess. I am a self-advocate and I am president of People First San Luis Valley. I work at the Green Spot Garden Center and Antiques. I make garden bricks. I love all sports, especially the Denver Broncos. I make friends easily. I love my life.